We are thrilled to announce that the second phase of our runway repaving project is underway! 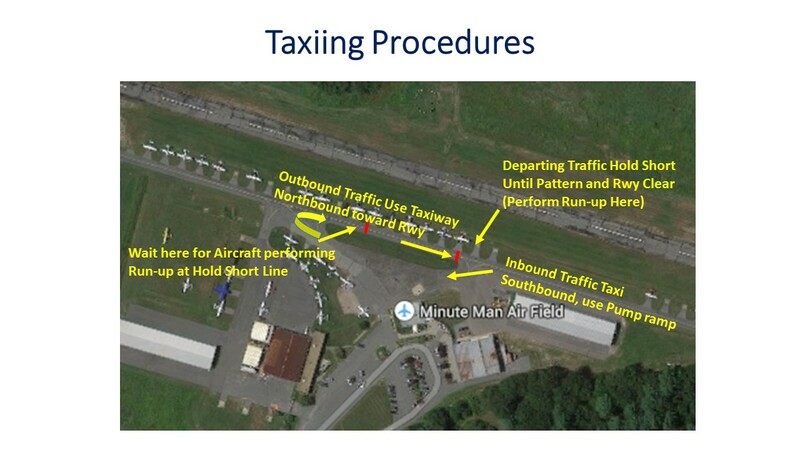 When Departing, Hold short on Taxiway, short of North Ramp Intersection for Arriving A/C to clear. Listen for traffic in pattern. A/C downwind and abeam numbers, will take 4 to 5 minutes to land, back-taxi and clear TXWY at Pumps. When RNWY and TXWY clear, taxi to RNWY 21 and depart. When landing, respect New Threshold due to Equipment under Approach. When Departing, Hold short on Taxiway, short of North Ramp Intersection for Arriving A/C to clear. Listen for traffic in pattern. A/C downwind and abeam numbers, will take 3 to 4 minutes to land and clear TXWY at Pumps. When RNWY and TXWY clear, back-taxi on RNWY and depart RNWY 03. To get to the Pumps, Approach from the North. Depart the Pumps to the South, then right turn onto TXWY. Listen to CTAF and be extra vigilant scanning for traffic. Focus on cooperation – don’t be in a hurry – keep new runway in mind – it will all be worth it in the end!!! Please carefully monitor NOTAMs for the most up to date information. March’s “Best” Fuel Price – $3.79!!! Owner/Manager Don McPherson’s annual Birthday Bonfire Bash Sunday 3/1 at 4pm. Don provides a fire, a long stick & a small cake (he’s Scottish after all). Guests bring their own meat, rolls, beverage and jovial spirit (musical instruments encouraged). All are welcome. RSVP so Don knows how many ‘sticks’ to provide. No gifts please (unless you insist on bringing a single malt!). Minute Man sponsors Aero Club of New England’s 2015 Crash Course Monday,March 2. This popular safety event will feature AOPA’s Senior Safety Advisor, Bruce Landsberg on the subject of ‘Loss of Control’. It will be held at the Doubletree Hotel – Bedford Glen, 44 Middlesex Turnpike – Free Admission, No Reservations needed, Cash Bar, Door Prizes and Raffle. Attendance will qualify you for FAA WINGS credit. 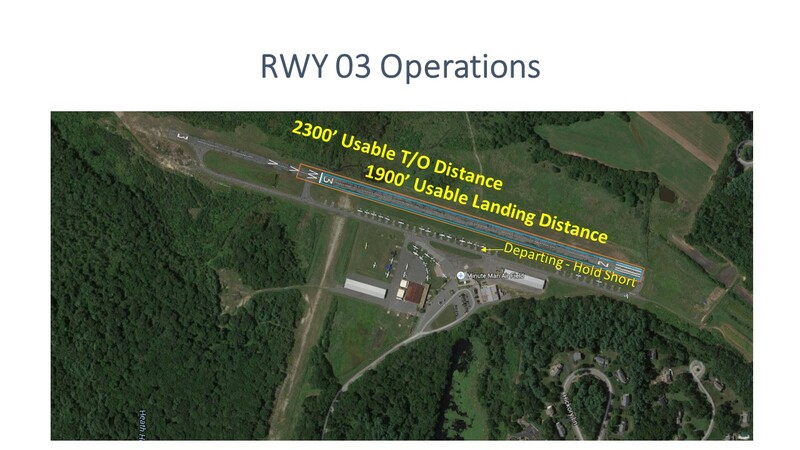 Permitting concludes for Runway ‘3/21’ Phase II Repaving Project. Our public hearings for an Erosion Control Special Permit and an Order of Conditions have been closed. We expect to be fully permitted by mid-March and under construction when the soils to dry out! Stay tuned to ‘NOTAMS’. third Tuesday of the month (3/17) at 7pm. TINKER, TAYLOR, BUILDER, PILOT meets in Nancy’s on the third Saturday (3/21) at 11am for lunch, socializing and learning. If you’re a builder or a tinkerer or just want to know how to change your own oil, stop by. Scott Gordon is installing a 2-axis autopilot in his RV-7. Visit him in the South Hangar East after lunch and help ‘supervise’ his work J. 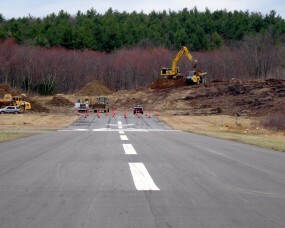 ‘Airport Update’ for the Stow and Boxborough Selectmen on 3/23 & 3/24 Our Airport Commissioners will present their annual report, which features our repaving project and the just released statewide airport economic impact study by MDOT- Aeronautics Division. EAA Chapter 196 meets at Nancy’s on the last Monday of the month (3/30) at 7pm. This month’s program: “The Battle of Britain Experience” given by Graeme Smith. All are welcome. Nancy’s at the Air Field is offering special IRISH MENUS AND BEVERAGES on Friday, Saturday & Sunday, March 13, 14 & 15. Come celebrate Saint Patrick’s holiday with Nancy and her great staff! 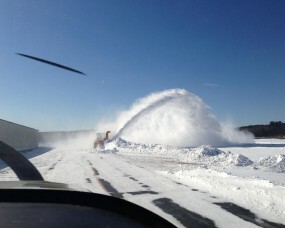 We have “The Fastest Snow Plow in the Northeast!” Next time you visit, also notice how WIDE we plow the runway and taxiways. Our ‘long winged’ visitors need not worry here. Feel free to call Don’s mobile number (978-621-5122) for up-to-the-minute field conditions. A word about FUEL PRICES: The above price is the lowest in recent memory. You will get this low price through March. Now all we need is good WX so we can all take advantage of it! Sun ‘N’ Fun is on my planning horizon after I find which snow pile my plane is under! What are you planning? Catch the ‘Minute Man Spirit’ at one of our events this month. No cure is known! Nurturing the ENVIRONMENT since 1969! 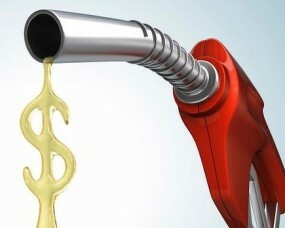 February’s “Best” Fuel Price – $3.79!!! Our annual ‘Kick Off Party’ was a roaring success with nearly 100 folks enjoying our warm hangar, yummy food and captivating speakers. 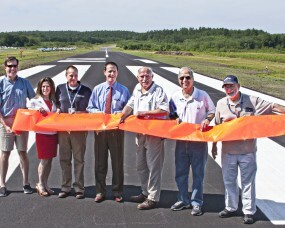 Please see Nurturing GA published by AOPA for the whole scoop. Thanks again to all who attended – participated and especially Friends of Minute Man Air Field and Nancy’s at the Airfield for hosting! Permitting continues for Runway ‘3/21’ – Repaving Project – Phase II – Our public hearings will be held as follows: Erosion Control – Planning Board at 7:30pm on Wednesday, February 11th; Order of Conditions – Cons Com at 8:45pm on Tuesday, February 17th. These hearings will be held in the Stow Town Building, 380 Great Road, Stow. Come early to get a front row seat. Your participation can help us move this public process over the goal line. You do not have to be a Stow resident to attend and be heard. The ‘IMC CLUB’ MEETING will be held in the Magenta Flight Training classroom on Tuesday, 2/17 at 7pm. Their meetings help develop flight safety / proficiency with ‘Scenario Based Learning’. All pilots are welcome! TINKER, TAYLOR, BUILDER, PILOT will meet at Nancy’s at 11am on Saturday, 2/21 (third Saturday) for lunch, socializing and learning. If you’re a builder or a tinkerer or just want to know how to change your own oil, stop by. Scott Gordon is installing a 2-axis autopilot in his RV-7. Visit him in the South Hangar East after lunch and help ‘supervise’! Nancy’s at the Air Field is accepting reservations for their ‘Valentine’s Dinner’ on Friday and Saturday, February 13th and 14th. Get details here. Come celebrate with Nancy and her knowledgeable, friendly staff! 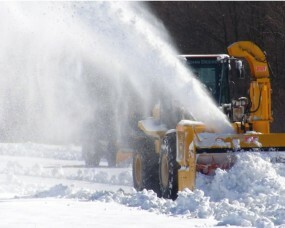 Our ‘Wintah Slogan’ is “The Fastest Snow Plow in the Northeast!”. Next time you visit us, notice not only when we are fully operational, but also how wide we plow the runway and taxiways. Our ‘long winged’ visitors need not worry here. Feel free to call Don’s mobile number (978-621-5122) for up-to-the-minute field conditions or to let us know your ETA or ETD. “Best” Fuel Price – $4.49!!! YOU are invited to our annual ‘Kick Off Party’! The heat will be cranked Way Up, so come out and have some fun. Maybe you’ll even win a Door Prize! Erosion Control – Planning Board at 7:30 pm on January 7th. The above hearings will be held in the Stow Town Building, 380 Great Road, Stow. Come early to get a front row seat. Your participation can help us move this public process over the goal line. You do not have to be a Stow resident to be heard. FOMA’s ‘Hangar Talk’ is set for Saturday January 3rd at 8:30 am at Nancy’s – join us! The ‘IMC CLUB’ MEETING will be held in the Magenta Flight Training classroom on Tuesday, 1/20 at 7pm. Their meetings help develop flight safety / proficiency with ‘Scenario Based Learning’. All pilots are welcome! TINKER, TAYLOR, BUILDER, PILOT will meet at Nancy’s at 11am on Saturday, 1/17 (third Saturday) for lunch, socializing and learning. If you’re a builder or a tinkerer or just want to know how to change your own oil, stop by. See Dave Setser’s beautiful Xmas gift (it should fly?) from his wife and maybe even visit a neighbor builder! Nancy’s at the Air Field is accepting reservations for their ‘Robbie Burns Celebration Supper’ Saturday, January 24th. This traditional, bag pipe accompanied, participatory fling is not to be missed! Get details at her always up-to-date web site. Nancy’s will NOT be open for MLK Day. Office, Hangar & Tiedowns available. “Best” Fuel Price – $4.59!!! Three local permits are needed before this important public safety project can move forward: Conservation Commission – Order of Conditions, Planning Board – Erosion Control Special and Board of Selectmen – Earth Removal. A triple round of public hearings is scheduled. Your participation can help get us over the goal line. 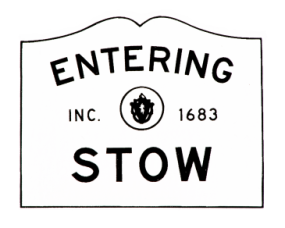 You do not have to be a Stow resident to be heard. Planning Board at 7:30pm on December 17th. FOMA monthly ‘hangar talk’ set for Saturday 12/6 at 8:30am in Nancy’s – join us! Nancy’s at the Air Field will be closed for their Christmas and New Year’s break from Monday 12/22 through Thursday 1/1. Discover her ‘Winter Celebration Dinner’ offerings on her always up-to-date web site, www.nancysairfieldcafe.com . The OPS Office will be open during most of the café break, except OPS will be closed from Noon Wednesday through Noon Friday of Christmas week. MARK YOUR CALENDARS NOW AND BE READY FOR SOME FUN!!! This month’s “Best” Fuel Price – $4.59!!! for the ongoing support you give us and the airport every day! Rich Davey, Recently retired MDOT Secretary/CEO, Chris Willenborg, MDOT-Aeronautics Division Executive Director, MDOT-AD staff, Kate Hogan, our State Representative, Jamie Eldridge, our State Senator, the Boxborough and Stow Boards of Selectmen who recognize the airport as a community asset, the Boxborough and Stow Emergency Services (Police, Fire, EMT & Dispatch) for being there when we need them, our airfield tenants who are our ‘life blood’, our hundreds of airport users and thousands of café customers who are our ‘raison d’être’, our wonderfully dedicated staff who do all the ‘heavy lifting’ of providing unparallel service, the Rotary Club of Nashoba Valley who have enriched our lives, EAA Chapter 196 who have given more free airplane rides to children than any other chapter in the state, Friends Of Minuteman Airfield who bring humanity to the field on a regular basis, the Massachusetts Airport Management Association for mentoring me all these many years, the IMC Club for promoting aviation safety every day, and our seven member volunteer Airport Commissioners who truly guide our path to the future. Finally, we are thankful to be healthy and enjoying the newest chapter of our lives – our first grandchild, Willett Anne McPherson, who, after two months, already has the power to attract us all the way to Boulder, CO on a regular basis! Nancy’s at the Air Field will be closed for Thanksgiving Break from Monday 11/24 through Tuesday 12/2. Learn about café happenings including her ‘Solstice Dinner’ offering on her always up-to-date web site . OPS will be closed from Noon Wednesday through Noon Friday of Thanksgiving week. The airport is owned and operated by Don McPherson. In addition to Don's expertise obtained through over 40 year of running the airport, our operations are overseen by a board of Airport Commissioners. We have a strong team of local business, government, and aviation professionals who voluntarily serve as our Commissioners, helping us to achieve our vision of Boosting the Economy, Serving the Community, and Nurturing the Environment. © 2014 Minuteman Airfield - All Rights Reserved.